* This is not about reading, writing, or dogs but it is about storytelling and it answers a question people have asked over the years about the photo attached to my Twitter site. A few years back we had a bit of a walkfest in various parts of the world. We walked the Cinque Terre in Italy after the heaviest rain in two hundred years had wiped out all the lower paths, forcing us up, up, up, into endless miles of rocky pathways through one teetering clifftop village after another. Then we walked the Luberon in the south of France, ploughing through dense forests hiding bronze-age stone huts in their darkness and more rocky pathways that only the ancient Romans could have loved. 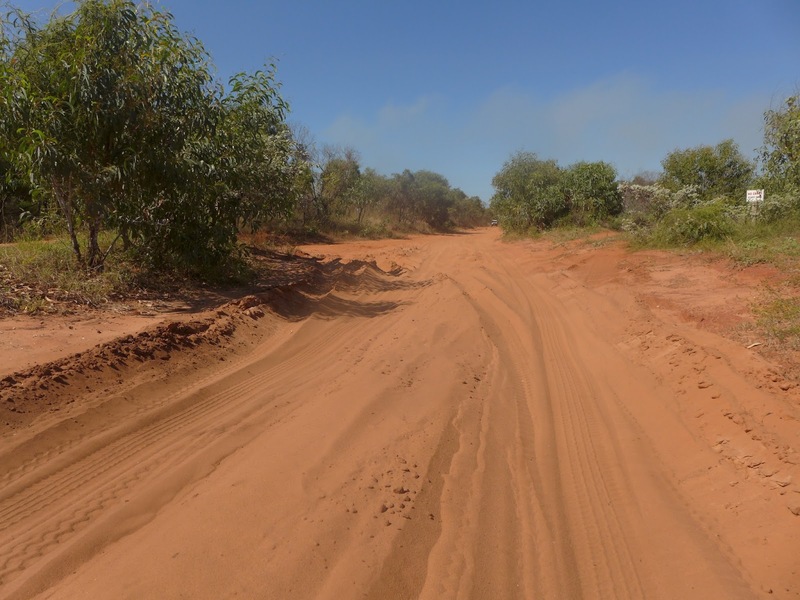 And to cut to the chase, the Kimberley left everything else for dead. No contest. And yes, we took a tour. Now if you have all the gear—the four-wheel drive that can negotiate the massive valley-like pot-holes of the Gibb River Road for six hundred kilometres, the camper trailer that won't get stuck or break an axle in said potholes, the capacity to change tyres and fix anything else that goes wrong, on your own in this unbelievably harsh environment—then go for it. Even so, what you won't get are the stories, the passing-on of knowledge that comes from living in this astounding place for years on end, researching its history, exploring its secrets, meeting its people, especially the indigenous caretakers, earning their trust and being privy to some of their secrets. This is what a Kimberley guide can do and the stories are what you take away. And they're never-to-be forgotten. A woman squats in the red dust, bony knees poking upwards like some elegant praying mantis. The Akubra on her head is curled up on both sides, dark and greasy from years of wear and weathering. It dips low on her brow, throwing her face into shadow but she peers up at us at intervals to see if we're following the story she is telling. Behind her the dissected domes of Purnululu stretch out like a miracle, matchless and breathtaking. Her aim is to explain to us how the Bungle Bungles were formed. With one finger in the dust she traces arcs and lines signifying erosion by wind and water over twenty million years. She speaks first with excitement of the play of sandstone, clay, ants and blue-green algae, then, with sorrow, she declares that in another few million years it will all be gone, swept away by the ravages of time as she has now sketched it in the dust in curves and dashes, lines and dots. Ria is strong and wiry and gorgeous. Nothing frightens her. We're all in love with her, men and woman alike. She runs the whole tour solo. 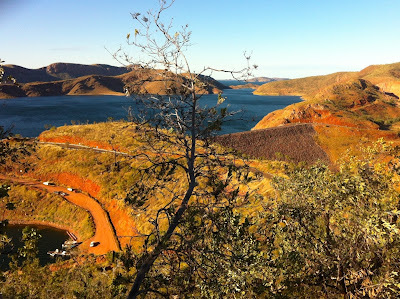 For the next twelve days she is responsible for us, eighteen disparate souls with not much in common but a desire to get inside the Kimberly and drink of its magic. 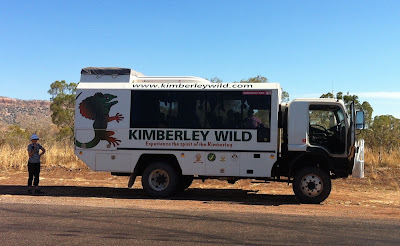 Within a day or two we've all had our photos taken in front of the bus with that Kimberley Wild sign writ large on the side. We all love the idea that we're setting out for the unknown, we city folk from Melbourne, Sydney and Canberra, sharing water, sunscreen and lip balm with country folk from Dubbo, Lismore and Bermagui. Swag-rolling sometimes needs an extra pair of hands. 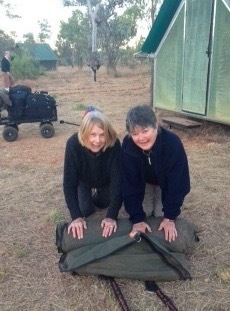 We're on the road before 7 am each day, we get our own meals, wash up, roll our swags and pack the truck. No-one shirks their share of duties. If you want to sit around the campfire and get totally shickered at night, Ria will still pull you out of your swag at 5 am to help get breakfast. When you tell people you're off on a bus tour the common response is 'Oh I'd never get Dave/Jill/Max (insert partner's name) to go on a tour', as if tours are for wimps or grannies. 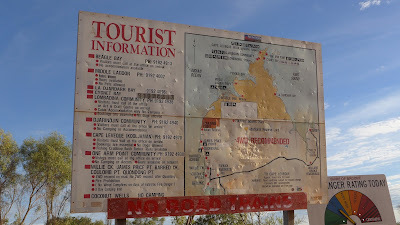 I may have been of this mind-set myself before I met Ria, before we put ourselves in her hands on this 2,642 kms round trip up the Gibb River Road, through the Savannah to the sea and back to Broome via Kununurra, Halls Creek and Fitzroy Crossing. We'd all abandoned our feather doonas and heated bathrooms for canvas swags that we rolled out under stars like we'd never imagined stars could be. We were all made silent by the wonder of it all, struggled to describe it adequately, finally settled on 'life-changing'. 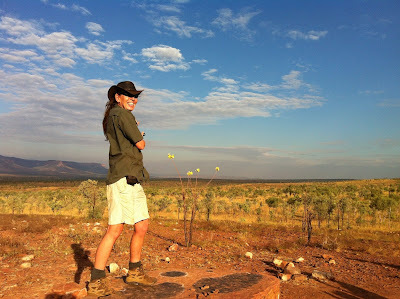 Now, I know that anyone can describe the wonders of the falls and gorges, the chasms, lakes and tunnels, hot springs and underground creeks, the splendour of El Questro and the magnitude of Lake Argyle. ....but none of these would have been half so wondrous without Ria's presence. Her knowledge seemed boundless and her sense of humour never flagged. 'Every tree's a lav-a-tree, that's the best you'll get from me,' she sang when the inevitable questions about toilets first arose. And everyone accepted this with good grace, sidling off alone into the bushes when necessary with Ria's cry of 'Watch out for the spinifex!' putting paid to any hopes of discretion. But her greatest feat was storytelling. The road between highlights was often long and arduous with hours between stops. But oh, the stories! On the long, long stretches of red dirt road Ria told us—among other things— of the history of the cattle industry and the famous Kidman empire, the deals done between the station owners and the Aboriginal workers, the history of the discovery of the first Argyle diamonds, the geological history and possible future of the Bungle Bungles and every other mighty gorge we climbed into. She brought to life the heart-stopping story of Jandamarra, a fearless Aboriginal freedom fighter of the 1800's, who attained mythical status by his efforts to challenge the status quo and get away with it. As we tramped through the darkness of Tunnel Creek she pointed out the ledges where he'd hidden and made real the details of his escape. 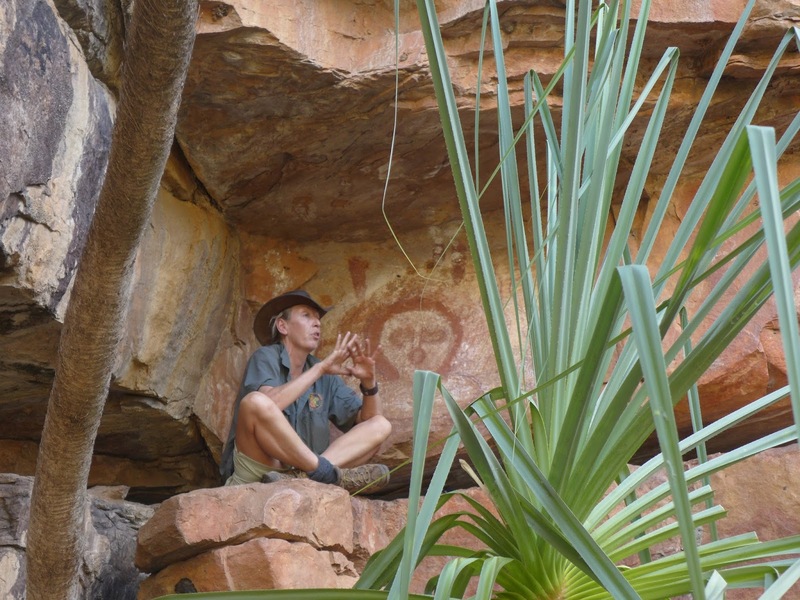 Ria explains Aboriginal rock art (with permission). 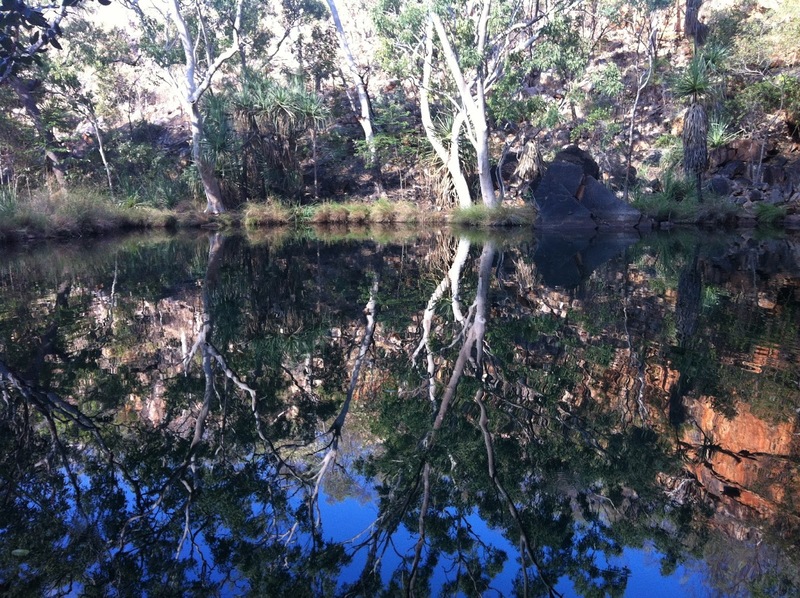 She told us who owns what and since when, including the history of the Durack family, the ownership saga of El Questro, how the hot springs there were formed and what happened in the floods. She covered the mysteries of the Aboriginal 'floral calendar', the protocols regarding Aboriginal rock art (she got us into places where individual travellers were denied permission to go) and was vehement about current efforts to maintain the integrity of Aboriginal culture. Often when we set up camp several Aboriginal people would appear out of the shadows and join us for dinner, greeting Ria like a loved sister. She never ran out of stories. Every time she began we settled back like kids on the kindergarten mat and let ourselves be immersed in her story-telling. We learned so much more than we ever could have done though books, brochures and information centres. At the end of the twelve days we were all smitten, struggling to remember it all, to take the tales home with us. As a group we didn't want to part, not from each other and certainly not from Ria. I'd love to see a Ria in every school in Australia, just to awaken in every child an awareness of the magic of this country and so make them want to head off and see it for themselves. 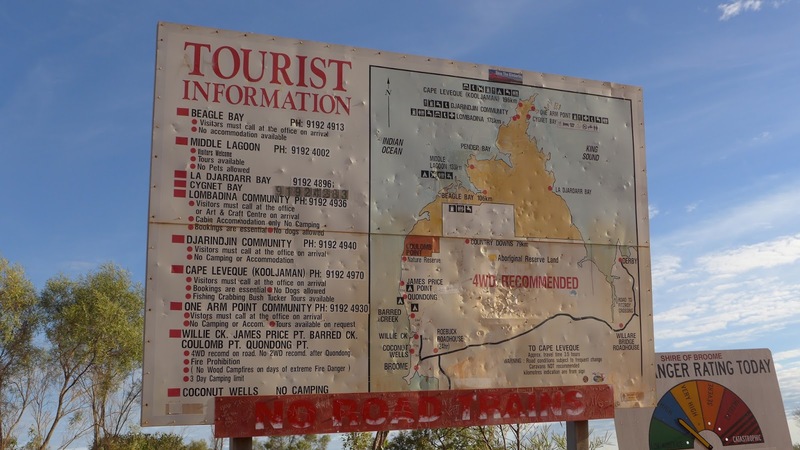 But maybe they're all like this, these people who spend their days and nights making The Kimberley known to the likes of us. 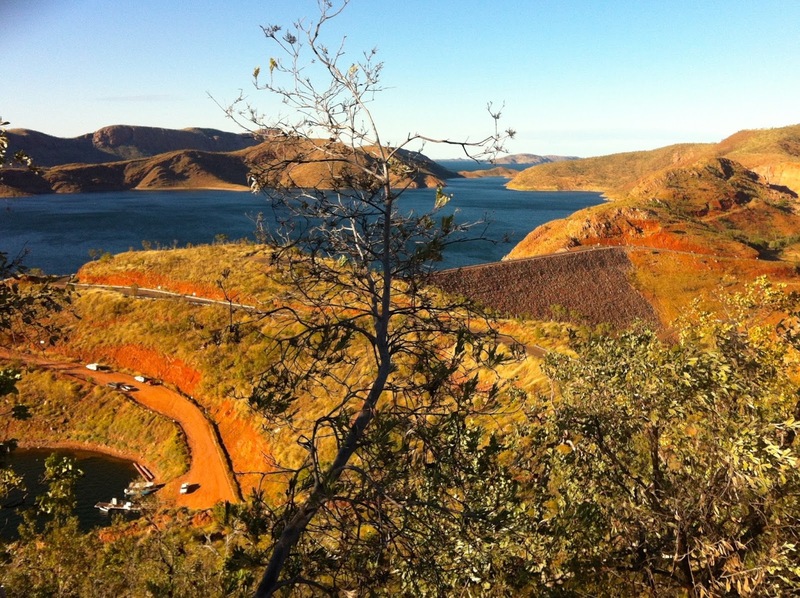 Maybe that's the gift the Kimberley bestows of you when you commit to settle and earn your living there. It's worth taking a tour just to find out.